I’ve been fortunate to have had a spate of travels fill my schedule in the past couple of months. With an evened amount of personal and business travel, I’ve put my passport to work. Now that the dust has settled, and the rest of the summer travelers begin their own journeys, I find myself looking to where I’ll head to in the fall. As personal tradition holds, I may very well end up back in Europe for a quick holiday during the cooler months. But that said, there is definitely much to say about domestic travel destinations. And with that in mind, there is much to consider even for those of you who are still looking for that push of inspiration to book that end of summer trip. If a trip to Hong Kong, Morocco or Stockholm seems a bit weighty on the pocket, then look no further than your own “back yard.” Even I often overlook what’s to be discovered here in our country. As big as the United States is, there is surely an experience out there that is completely out of the proverbial box that we tend to lock ourselves in. Travelchannel.com has put together a special list of “All-American” vacations for 2015. From perennial favorites such as Redwood National Park in California, to historical gems like Annapolis, Maryland, there is a wide range of American travel havens to cover. The Pacific Northwest arguably boasts one of the most scenic landscapes in the U.S., and quite possibly across the globe. With the lush greenery that dots the region, along with the natural beauty of its mixture of pristine and craggy coastlines, the region enjoys natural beauty in abundance. 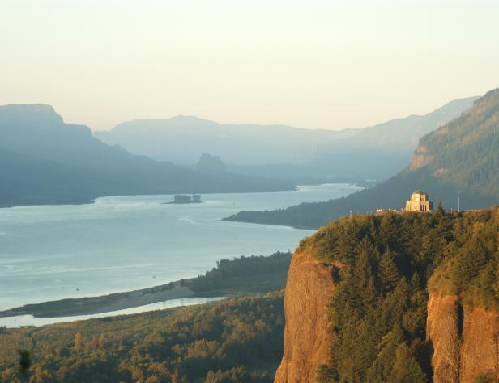 Sweeping views of the majestic Columbia River is the highlight of this national park, and is a perfect place for a nature-focused trek. And to make the trip even more worthwhile, head to the city of Portland. Once a major pioneer settlement, the city is now home to a growing microbrewery and food truck culture that has elevated it a foodie destination in the U.S.
Louisiana has long been known for its mix of historical and cultural influences, the strongest of which being French. As a result, the state embraces a unique Cajun-French Creole culture that transcends everything from music to food. And while New Orleans tends to be the crown jewel of the state’s tourism industry, there is a much more laid-back air to be experienced (and appreciated) in Lafayette. 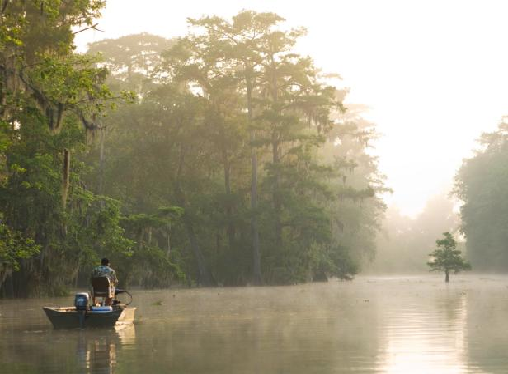 In true bayou fashion, you’ll find airboat rides and crawfish boils to your heart’s content. Bon Temps Grill (no relation to the Bon Temps of True Blood fame, just FYI…) and Jolie’s Louisiana Bistro are just a couple of local favorites –Bon Temps offering a more casual experience, while Jolie’s highlights their take on NoLa’s creole classics. 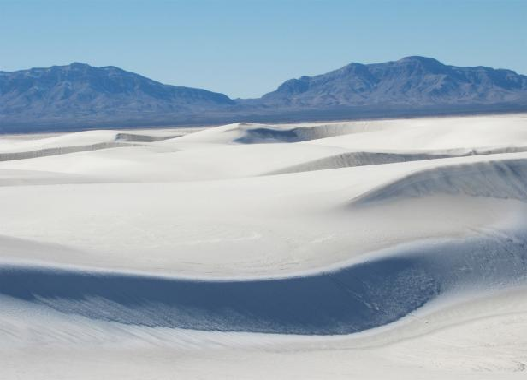 New Mexico’s white sands desert, located in the Tularosa Basin, is nestled between the San Andres and Sacramento mountains. The unique nature of the desert is that the sands are actually cool to the touch because of its reflective qualities (whereas typical desert sands absorb the heat from the sun). The experience is noted as being one of calming serenity. And when in nearby Las Cruces, it would be wrong to miss out on some “authentic” Mexican cuisine. La Nueva Casita Café is a downtown Las Cruces staple that has been serving eats to locals and visitors alike since 1957. Visit Travelchannel.com for their full list of All-American Vacations for 2015, and start planning your next trip today.